A construction equipment company pleaded guilty and was sentenced in federal court in Atlanta, to pay a $1.95 million criminal fine for conspiring to defraud the U.S. government and to violate the Clean Air Act (CAA). The charges relate to construction equipment the company imported for sale into the U.S. from Korea that contained engines that were not compliant with air emissions standards under the CAA. During a phase-in period for new air emissions standards, the company opted to participate in a transition program that allowed it to import limited numbers of engines not in compliance with the new standards. As part of the program, the company had to report the number of imported noncompliant engines to EPA. The company’s imports of noncompliant engines substantially exceeded its allowance. A consultant retained by the company advised it to stop importing and notify EPA. However, the company continued to import the noncompliant engines, and its employees allegedly conspired to lie to EPA and to impede the agency’s ability to enforce emissions standards. Ultimately, the company submitted a report that intentionally understated the number of noncompliant engines it had imported from Korea. 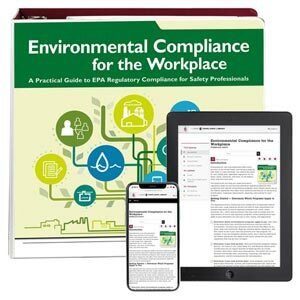 J. J. Keller's Environmental Compliance for the Workplace manual is an essential, "how-to" resource for environmental compliance and EPA regulations.